Artist statement: I’m a realistic figurative sculptor. I sculpt portraits, busts, &full figures, as well as animals. My inspiration is life, mythology and biblical stories. I enjoy creating a mood and/or capturing a movement. I model in clay and carve stone. I enjoy both mediums. Clay is immediate and stone takes patience. 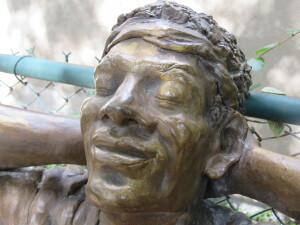 “Dreams of Glory” is a casting of a original clay sculpture of a boy who has played the game of his life. He is dreaming of becoming a famous professional basketball player. 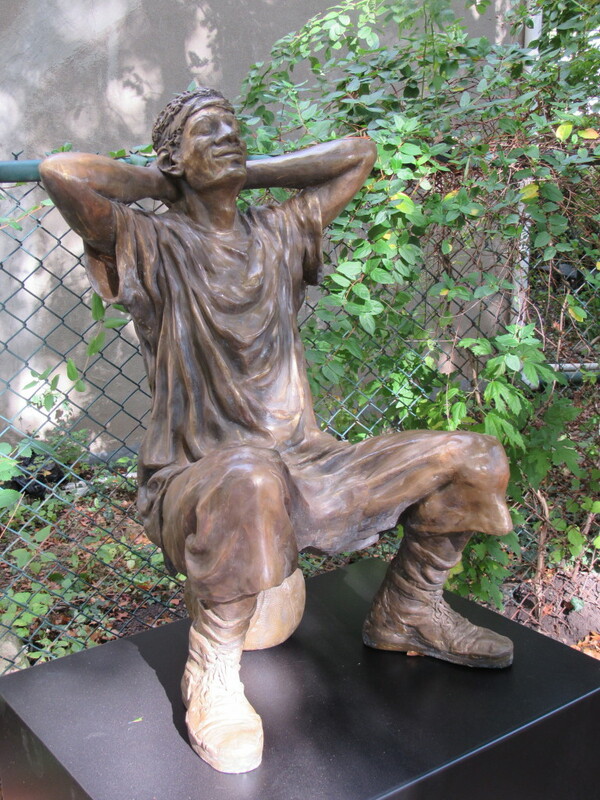 This sculpture won first place in a Hudson River Artist competition.